Temperature: 5 to 40 degree c.
Serial: RS 232 port for pc and balance interface. - Measuring pH range 0 -14 pH. - Supports both Water and DST method for Factor determination. 1. 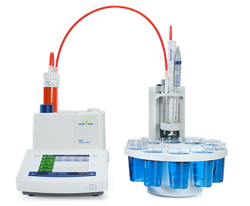 Preset potential to control titration endpoint. 2. Pre-control potential is adjustable. 3. Solenoid valve for controlling dropping liquid. 4. 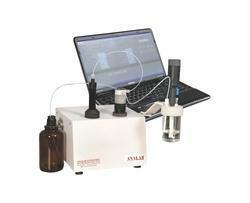 Equipped with delay circuit of titration endpoint. 1. LCD display and English operation interface which can show measuring parameters and results.